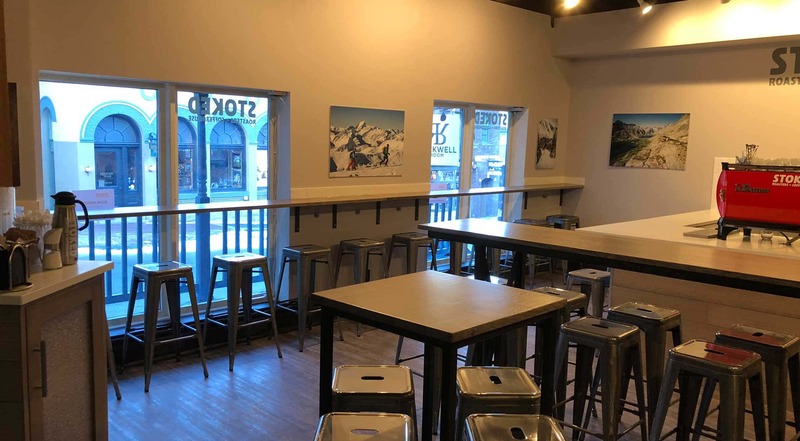 In February 2018, Park City’s coffee scene became a little more hyped with the opening of Stoked Roasters coffee shop. After holding a meeting at Stoked Roasters and savoring a cup of their impeccably roasted coffee and a delicious Sweets & Cheese blueberry muffin we knew we needed to learn more. Thankfully, it was time for a new Meet the Merchant and owner Jax Mariash happened to be available for a sit down to tell us more. Before meeting with Stoked owner Jax Mariash, I did a quick online search to get an idea of how to direct the interview. I learned that Jax was a World-Class ultrarunner, but I didn’t realize just how decorated she was. Jax humbly explained the world of Ultra Running and her 2016 accomplishment of becoming the first woman in the world to complete the 4 Deserts race series Grand Slam Plus. Not only did Jax successfully run each of these races, but she won each of them in a single fiscal year. She’s recently completed the Marathon des Sablas in Morocco with a sixth-place finish after taking a year hiatus from ultra running. You may think with a career as an ultra runner, Jax would have her hands full, but no; she also runs the Stoked Roasting shop in Hood River and opened the Park City Stoked Roaster this February. All of Stoked’s beans are roasted at the Hood River roastery. The brand has six different blends with beans from 15 different origins. For Jax (and many of us) coffee and adventuring go hand in hand. As the official coffee of the outdoors, Jax wants Stoked Roasters to serve as Park City’s base camp before or after a day of adventuring. She invites Park City residents and visitors to kick off or celebrate their daily adventures with Stoked. To further their support of the outdoors, Stoked sponsors 26 outdoor athletes and likes to think of the brand as a coffee company that treats itself as an outdoor company. Jax is relatively new to the Park City community establishing full-time residency in 2016. 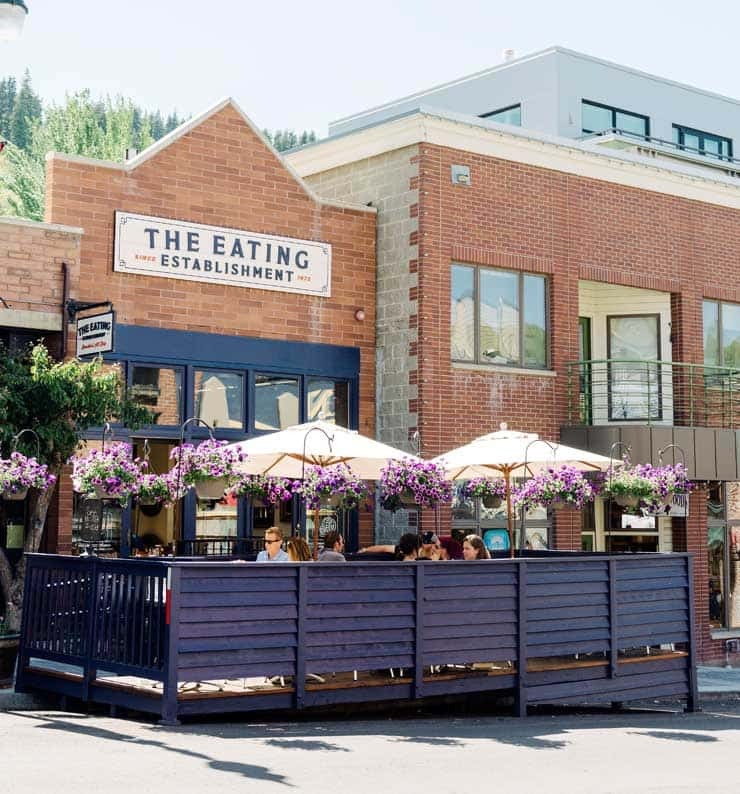 After years of living between Hood River and Jackson Hole, she fell in love with the culture and people in Park City, loves that you can do a “zillion sports in a day,” and connects with the entrepreneurial spirit of the community. After getting to know Park City, Jax realized it was the perfect place to open the second Stoked location. Ultimately, she hopes to expand to other mountain communities, but for now, she’s content focusing on her running, the two current locations, and expanding the brand’s instant coffee retail offering, which recently launched on Amazon. When not running Stoked or ultra running, you can find Jax shopping on Main Street where she buys all of her clothes, grabbing a burger at No Name and a beer at the Spur, or attending an electronic show at PC Live. If you haven’t started your adventure at Stoked, we highly recommend stopping by 268 Main Street from 8 a.m. – 5 p.m. daily.